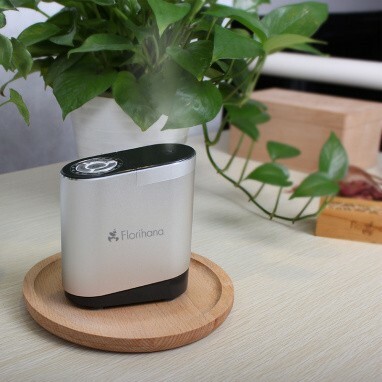 The microparticle model preserves the qualities and therapeutic benefits of essential oils by transforming them into micro droplets without the use of heat and water. The ultrasonic model uses ultrasonic waves that agitate the water causing the separation of the water particles. Once the water particles are separated they become negative ions (mist). This diffuser needs an aqueous base to operate.